The recent mass shooting in Las Vegas in Nevada is one of the deadliest in the United States. During this time, many of the victims send text messages to their family and friends amidst the chaos. They tell them how much they loved them while some let their family and friend know they were safe. Some of these messages are now appearing online. 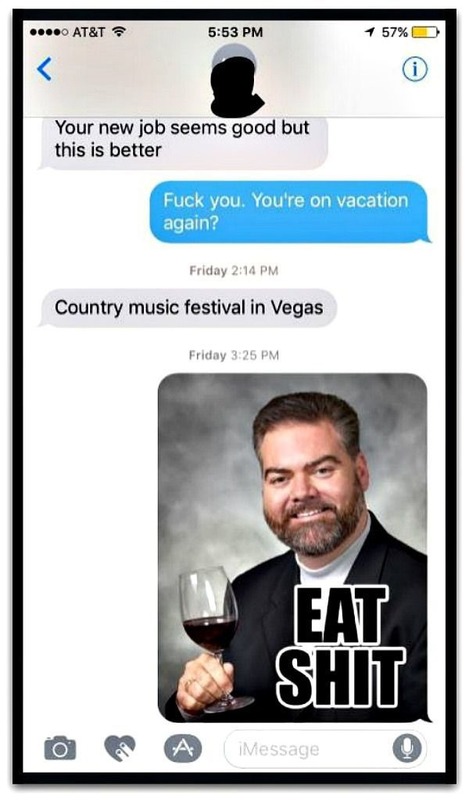 One Imgur user recently shared an exchange of messages with a friend who had gone to a country music concert in Vegas. The messages are a clear reminder that no one knows if it will the last time you will ever talk to your friend. There are other terrifying stories that were revealed by people whose loved ones were at the same concert in Las Vegas. Lynh Bui, a Washington Post reporter, also took to Twitter to share a frightening text message from a daughter to her mother. 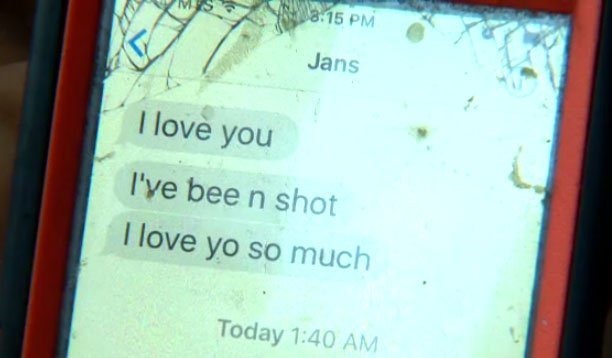 Meanwhile, Joseph Lambourne received the text message below from his wife, Jan, who happens to be at the concert as well during the shooting. “I love you. I’ve [been] shot. I love [you] so much,” Jan wrote to Joseph. She currently in a stable condition. To J.C. Monticone, it is happening all over again. 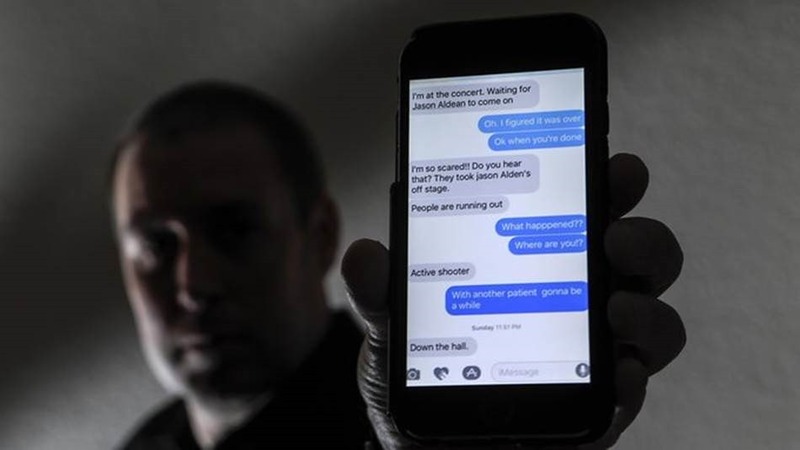 He said this was not the first time he received a shocking “active shooter” text message from Melissa Castruita, his fiancée. 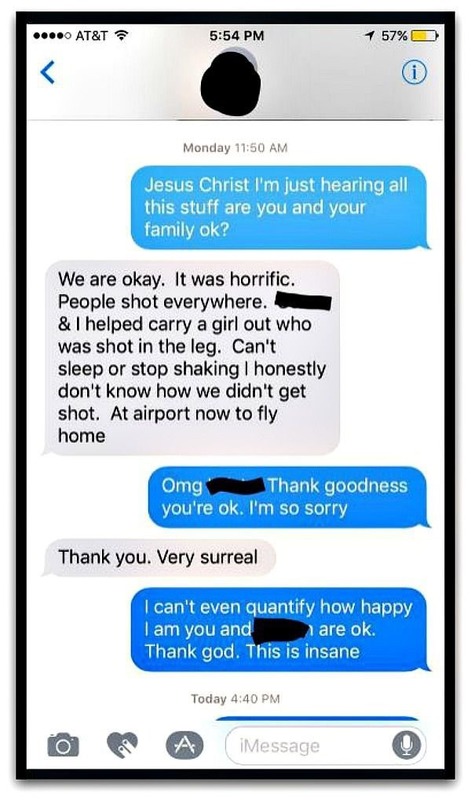 Melissa first texted those words to J.C. during the 2015 San Bernardino shooting. At the time, she is working at the Inland Regional Center in San Bernadino, California. 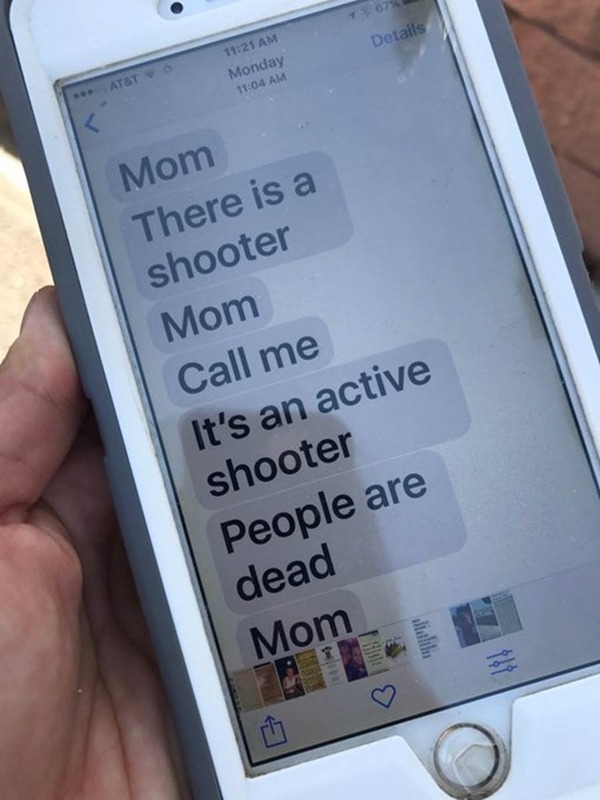 Just recently, she texting those same words – “active shooter” – to J.C. again. 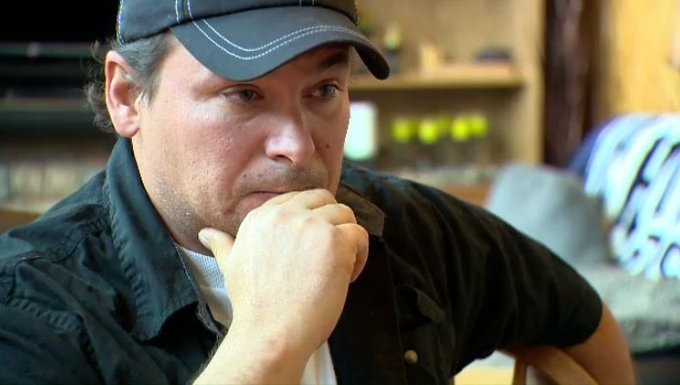 Being in one mass shooting is traumatic already. Much so in two.